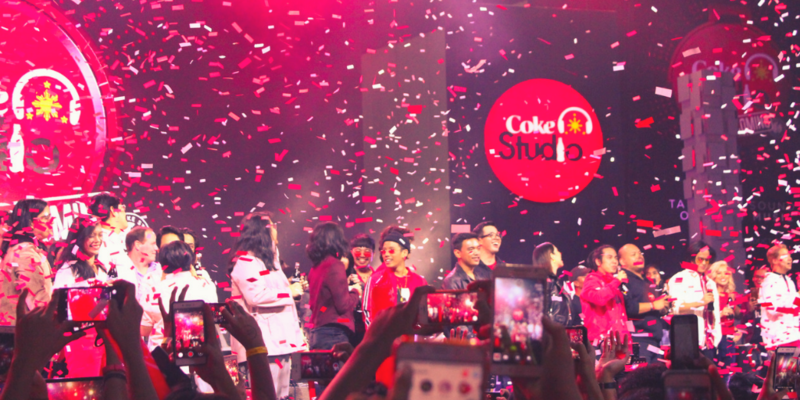 3 Reasons to be Excited for Coke Studio: Homecoming! When you think of home, what comes first to mind? Your favorite dish that your mom prepares? The smell of your bed? The comfort? Or some special memory that will never fail to make you smile? For Filipinos, music will lead us all home. For every situation, there is a perfect OPM song that we can all jam along to. That is what inspired Coca-Cola to create the second season of Coke Studio PH! This year, Coca-Cola gives young music lovers and Original Pinoy Music artists a new home at Coke Studio Homecoming! We were at the launch last September 1 in World Trade Center and glimpsed the awesome line-up that will bring us home with their songs! Continue reading to find out 3 reasons you should be excited for season 2! With a line up this big, the possibilities for great music are basically endless. What more when there are collaborations? Starting September 16, Coke Studio Homecoming will run for four episodes and two artists will be paired up in each of them. Groundbreaking and new collaborations between them as well as renditions of original songs are to be expected! Personally, I can’t wait for IV of Spades and Shantidope collaborations! What are yours? Imagine a Ben&Ben and Patty Tiu episode. Now that would be amazing! Coca-Cola is not just doing this for fun and entertaining teens. They will take a step further by giving them an opportunity to do their part for a greater cause. To align with their industry-first goal to collect and recycle the equivalent of every bottle or can they sell, they will encourage teens to deposit their PET bottles in designated recycling bins. In each Coke Studio event, there will be a Coke Studio TuneCycle. Think of it as spinning but you are not just working out, you will also be recycling! The ground PET bottles will then be turned into eco-bricks. Isn’t that awesome? I bet you are now even more exited for Coke Studio Homecoming. It starts on September 16, Sunday. There are two ways to see each episode: one is on ABS-CBN every Sunday before ASAP or if you missed that, you can still catch them on YouTube! You wouldn’t want to miss this season so stay tuned! Meanwhile, avoid #FOMO and relive the highlights of the launch. Check out the photos below, Bingers! PREVIOUS POST Previous post: 'Searching' Is Your Next Sleeper Hit! NEXT POST Next post: The Predator Is A Goofy Bloody Mess and I Love It!